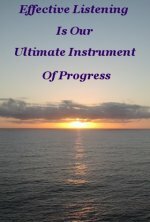 We have touched on the workings of the universal law of attraction over the previous several pages. As we have discovered, there is much to assimilate. Having acknowledged that there is more to this potent Law than meets the eye, one could be forgiven for believing that complexity is the reason for it's widespread misunderstanding. Albeit, reason and explanation are not substitutes for equitable action. Of utmost importance, we have discovered that our minds are constructed to interact seamlessly with the source of all Knowledge, that is, Spiritual Intelligence. However, there is one very important proviso necessary to generate and maintain Good, and avoid evil. That proviso is we work in harmony with Nature. Compare this one requirement with the manner in which many influential sectors of Society interact. Behavior wise, Humanity is treading a mediocre path, trending towards the inferior. Undesirable traits are brazenly exerting their destructive influence on our legal systems, politics, and business affairs. It is easy to imagine the law of attraction on auto-pilot in the minds of those responsible for the abominations in our midst. This brazen and destructive behavior is untenable and exemplifies how little is comprehended of this law that enables Humans to advance themselves materially and spiritually, in a sustainable manner. Inscribed below, accentuating Nature's demand for harmony, Ralph Waldo Emerson provides us with a fitting conclusion to this brief discourse. There are more than seven billion minds on this Planet. Each with the potential to communicate with Spiritual Intelligence and purposely employ the universal law of attraction. One, and all, of these seven plus billion people have their own expressions of desire to Spiritual Intelligence. Whether aware of that fact or not. When a lack of understanding of how the law of attraction operates results in wrong thinking, conflict of interest is inevitable, and eventual deterioration of relationships into chaotic conditions. Our current state of individual and World affairs stands in stark testimony to that fact. We are creating an untenable environment directly linked to wrong thinking. This sorry state of affairs will not change until we change our thinking. For the simple reason the universal law of attraction is dutifully fulfilling our desires. This law is working perfectly. Nature is delivering exactly what our Collective Unconscious has demanded. She is merely responding to our collective dominating thoughts. An excellent foundation on which to build a competent understanding of the universal law of attraction is to study Ralph Waldo Emerson's perception of our relationship to Nature. Taking particular note of his conclusion, that, as an individual, you are the creator in the finite. The creator of what, is entirely up to you. Beautiful music? 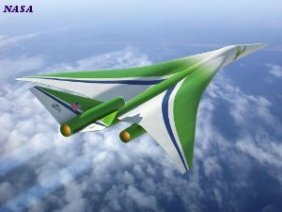 An environmentally sustainable source of energy? A political system that brings Humans together in joyful harmony? Whatever it is, and it synchronizes with the Common Good, no-one has the right to interfere with the execution of such a desire. Acting on such desires will bring about the changes so desperately needed for joyful harmony. Your innate abilities will determine the realization of your desires in accordance with your comprehension and application of the tools provided by Nature to understand Her. This site is amassing those tools. Please stay tuned. When one fully comprehends the universal law of attraction, the realization arrives that evil is begot of ignorance, and that knowledge is the sole solution to the elimination of evil. Once this realization is fully assimilated, you will become a walking, talking, law of attraction executive. For yourself, and for the Common Good. You will know with total confidence that whatever you set your mind to, you will accomplish. And, because it is for Good, you are justly entitled to the rewards of that accomplishment. 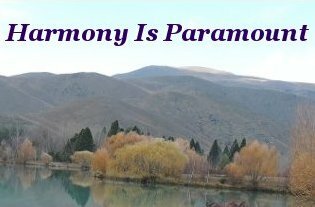 When the universal law of attraction is better understood by all peoples, preferably thoroughly, we can look forward to a guaranteed harmonious and prosperous World. An appropriate note to conclude this summary on is recognizing a couple of great minds employing the law of attraction for the Common Good.. . . . When Elon Musk, an inspirational modern entrepreneur, who thinks in terms of the Laws of Physics, was asked how he has done so much - PayPal, Solar City, Tesla, SpaceX Program - by Curator Chris Anderson in this TED Talk interview, replies that he does not have a good answer, then with a spread of arms, exclaims, "I work a lot. I mean, a lot." Work is otherwise known as action. Some three hundred years earlier, when Isaac Newton, the man who discovered many of the laws of physics Elon employs, was quizzed about how he contributed so much to Science, answered with a definite "Because I think of nothing else." Elon Musk offers some further sound advice. "Seek and Listen to criticism from friends." 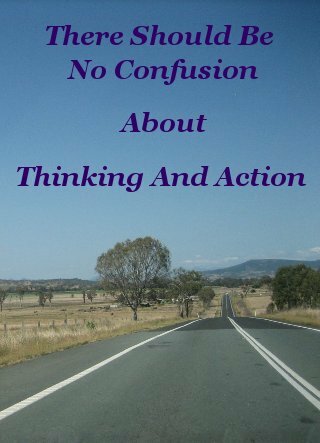 There should be no confusion about thinking and action, both are essential to succeeding at anything. Thinking comes first, but action should follow hotly on thinking's heels. In an environment of genuine freedom. These two men put Emerson's prescription to practical use in the material sense. We can put it to equally effective use, to harmonize our relationships, whilst we go about accomplishing what we are passionate about. In appreciation of his provident input, helping us get our heads around a major influence in the affairs of Humanity, it is fitting to allow Ralph Waldo Emerson the final word. "All successful men have agreed in one thing - They were causationists. They believed that things went not by luck, but by law. That there was not a weak or a cracked link in the chain that joins the first and last of things. . . ."
You will see this belief in the Law of Universal Causation shining intensely within the thoughts and actions of Elon Musk and Isaac Newton. And you will find it repeated ad infinitum throughout this brief commentary of Good Human progress. Next - Is There A Secret Formula For Success?